What is the MYP (Oct 23 / Jan 22) Is a lecture based talk designed to give you basic understanding of the MYP concepts and language surround our curriculum. 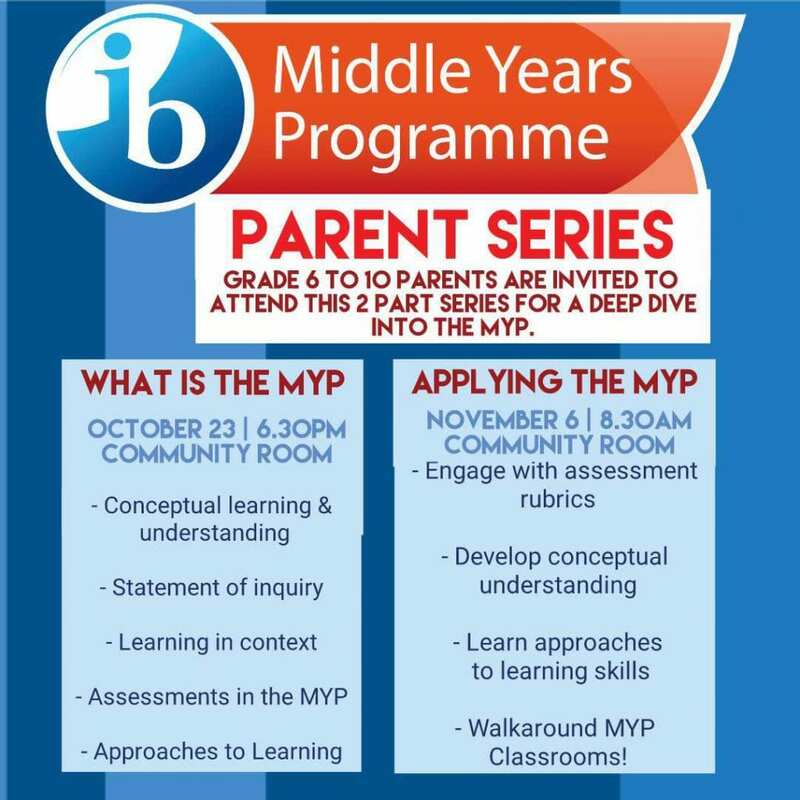 Applying the MYP (Nov 6 / Jan 29) is a hands-on workshop where parents will be engaged in activities to acquire a deeper understanding of how the MYP works in practice! These sessions are created to build on each other and will also be repeated in semester 2 if you are unable to make these events (Jan 22 and Jan 29).